Welcome to CLERC – consultancy services for the preparation and management of European R&D projects. Founded 2010 in Schopfloch, Baden Württemberg, Germany, we offer support to organisations with previous experience in European research projects, and to those who would like to participate for the first time. We are experienced in performing the specialized administrative and management tasks associated with EU projects, allowing participants to focus on their scientific and commercial objectives. 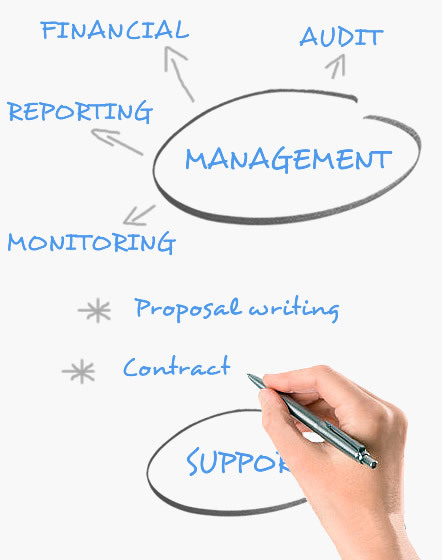 We can help you write your proposal and find the right project partners. We are in close contact with the European Commission, RTD performers and SMEs and large enterprises across Europe and in Associated member states. We can provide the support and tools you need for the successful management of your project, and act as a bridge between the project consortium and the European Commission. EIC Innovators’ Summit in Berlin – registrations are open! 2149 small businesses seek funding under the SME Instrument. Top-class innovative projects get €146 million under FTI and SME Instrument to get onto the market faster. 1658 small businesses seek funding under the SME Instrument Phase 2. CLERC® is a registered trademark of IRIDEON S.L.